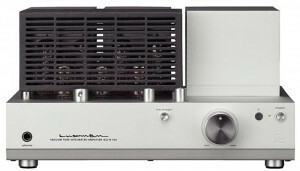 Luxman’s wonderful NeoClassico amplifier – winner of 6 Moons “Blue Moon ” award. here is the review. We have also attached the review from HiFi News (UK), another glowing testimonial. Luxman have recently sent NeoClassico production to their parent company’s (IAG) factory in Shenzen and consequently the retail price in US $ has fallen considerably. The original SQ-N100 was $3,000, while the new SQ-N10 (same performance, almost identical but now has an extra input for the D-100r iPod (iPhone etc) dock (retail $500) with a built-in DAC – its a terrific sounding device. $2,400 including the $500 dock or $2,000 without the dock. The matching CD player, D-N10 is now $1500. This entry was posted in Latest News and tagged Luxman, New Products, SQ-N10.